April Nicely submitted this photo and caption. 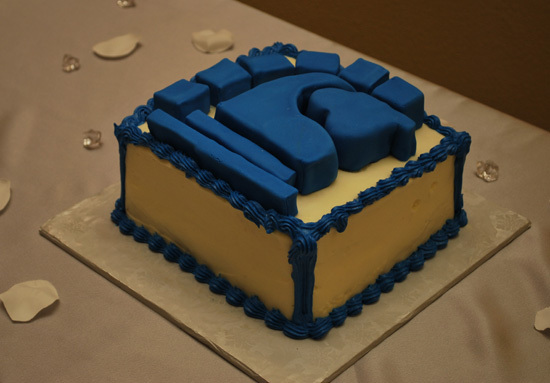 I had this cake specially made on our wedding day for my new husband Patrick Nicely to honor the time he spent marching for the Blue Knights in 2004. His year marching was one the best of his life and I wanted him to remember that on our special day. Luckily for me he loved it!